The ultimate need for people who constantly colour their hair is to have healthy and lively hair. 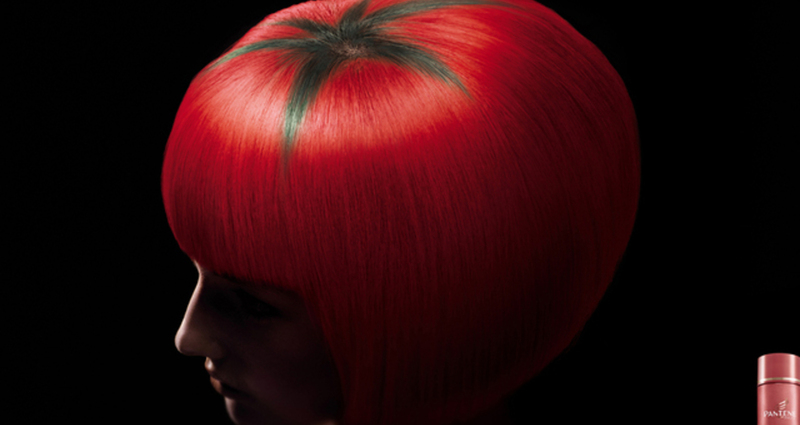 Therefore, in this eye-catching print ad, when you first glance at it you see a fresh, juicy tomato. Take a closer look and you¡¦ll realise it¡¦s the girl¡¦s red hair. This fresh and vivid print conveys the message that with Pantene colour treatment shampoo, your coloured hair can glow with radiant health. To give our consumers the impression that with Pantene colour treatment shampoo, whatever colour their hair is it can glow with radiant health. Grey Group Hong Kong Client: Epson Hong Kong Ltd. Title: So Light "Pin"